The first four rounds of Supercross have been a whirlwind! This is my first year doing consecutive back to back rounds, and I am keeping the throttle pinned. The season opener is always my personal favorite. Not only is Anaheim and Angel Stadium a prime spot, the season opener is the moment where all of our hard work during the off season comes to a head — and where we overcome the most obstacles. This year we added Arenacross heavy-hitter Ben Lamay to the roster and it has been incredible seeing him battle in the mix of the top ten riders in the world week after week. It has been my pleasure to promote him and the rest of the team each week. He’s currently sitting in the top 15 and continues to excel — it’s awesome! Each week, I get up around 4am for press on Friday, and help our riders through live television interviews until noon. It’s tedious, and sleepy — but seeing the riders shine is so rewarding. Then, come Saturday, I get up around 6, and work until midnight. 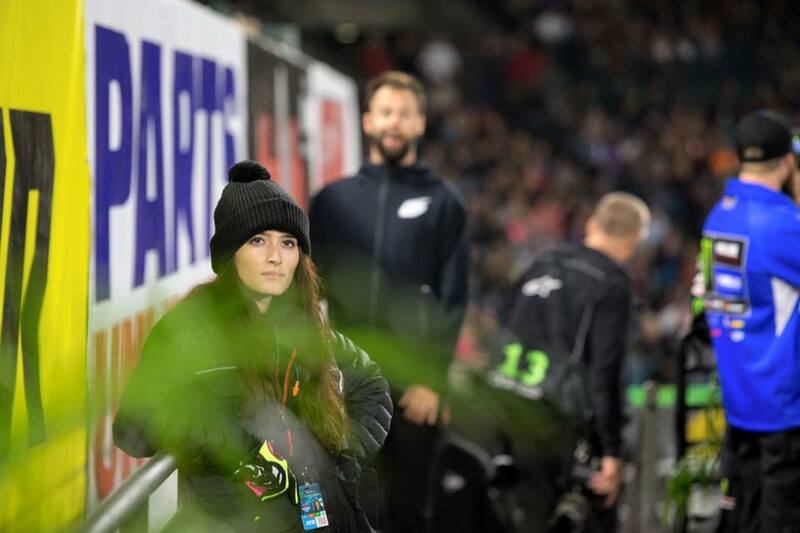 Being behind the scenes at Supercross is an incredible experience, and each weekend I meet someone new or experience something a fan could never imagine. As we move on to round 5 in Oakland, I’m looking forward to yet another weekend traveling to the races.